First up, I do a Character Profile on The Thinker (which we talked about last episode)! 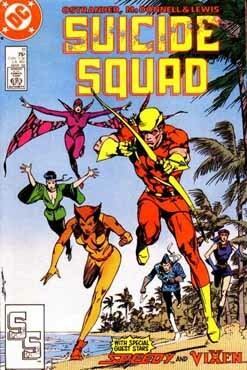 This episode, we are introduced to Vixen, a model and ex Justice League member, as her model friends are gunned down. 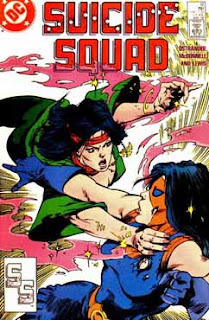 She turns to the Suicide Squad and the other special guest, Speedy, to help her get revenge on Xavier Cujo, a drug dealer from Colombia. Does Vixen get her revenge? Does she kill Cujo? Stay tuned to find out! 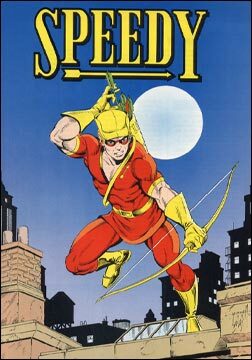 Coming next week, The Starman/Manhunter Adventure Hour, where I'll be talking about the Will Payton Starman and Mark Shaw Manhunter comics. Then, look for G.I. Joe: A Real American Headcast the first week of the month, where Ryan, Kyle, returning guest host, Jif Fishman, and myself look at G.I. Joe: A Real American Hero issue 10 and the third episode of the second cartoon series, Revenge of Cobra. Finally, be sure to return next month and listen as I talk about Suicide Squad issues 13 and Justice League International 13. Also, watch for the Secret Origins podcast, episode 37 (which should be out around this time), where Ryan and I discuss the secret origin of DR. LIGHT!